You are here: Home / Blogs / Tips / Custom Remodeling – Where do I start? 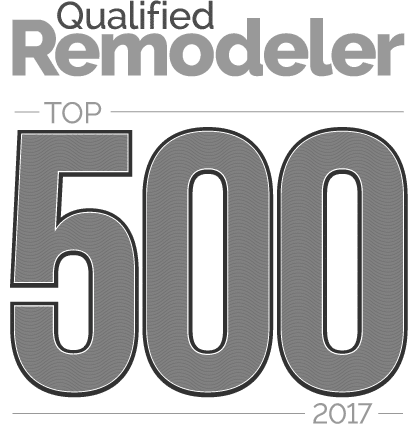 When homeowners are considering a custom remodeling project to a part of their home, they already know that their space is either out of date or poorly designed. They dream of a new space that is not only beautiful, but functional. We usually get clients that want a WOW factor in their homes. Who wouldn’t want their home to stand out after they spend money updating it? This is the part of the project where most people get stuck, and can’t seem to move forward. 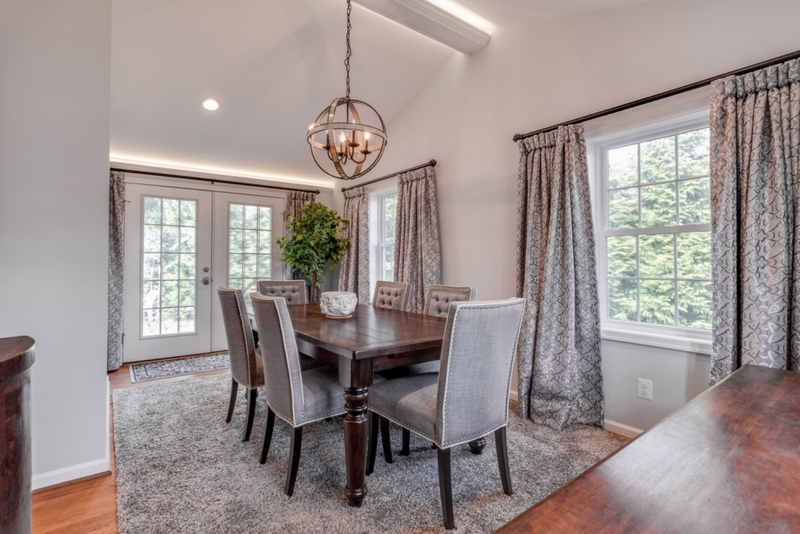 “Where do we start?”, “I know what I like when I see it, but I can’t tell you what it is.” and “What are your ideas for my space?” are common questions that we hear when we first meet a homeowner. We can help you today with the first two questions, but the last one is one that takes time to develop and we will talk about that later. So, where to start? Many designers feel that a space they are working on often “talks” to them. These people are great designers because they can see what the space could look like in their heads. One of the problems with that tactic is we designers tend to “see” things that are not easy to get in the marketplace or are cost prohibitive because they need to be custom made. Homeowners may not be able to visualize this so we rely on pictures to tell a story and describe the concept. Designers often use drawings, but we also rely on photos to convey our message. Magazines are a great way to start your quest for ideas. We recommend that you rip out the pages that you like. If you keep them in the magazine, you will be less likely to find it in the future. You can easily keep all of your clippings in one spot, and it will be easier to carry as well. Another great resource is the internet. You can Google images of any product and see what comes up. for example: kitchen remodel, bathroom remodel, stone fireplace or mud room cabinets. A better place to start is www.houzz.com , a website full of pictures of home renovation projects. You can see projects from multi-million dollar homes to small apartments. This website allows you to save the images in your favorites folder so you can easily find what you loved last month but can’t quite remember the details. 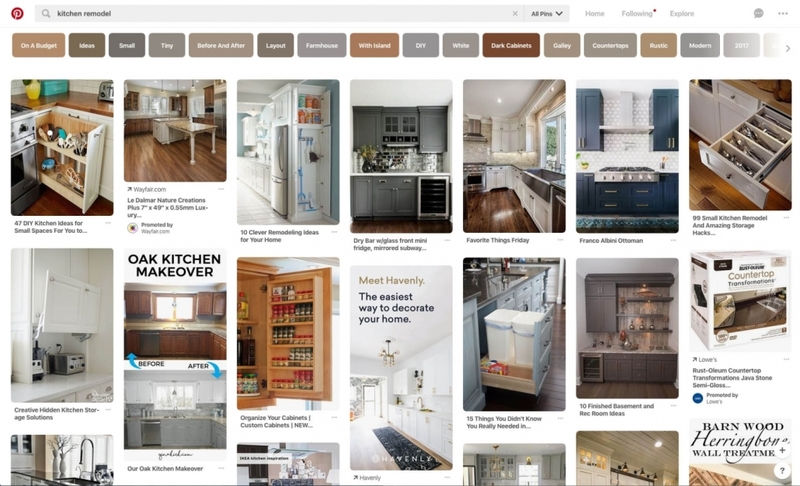 You can have many folders on houzz.com that will store images you wish to save and you can organize them however you like. Another great website for design ideas is www.pinterest.com . 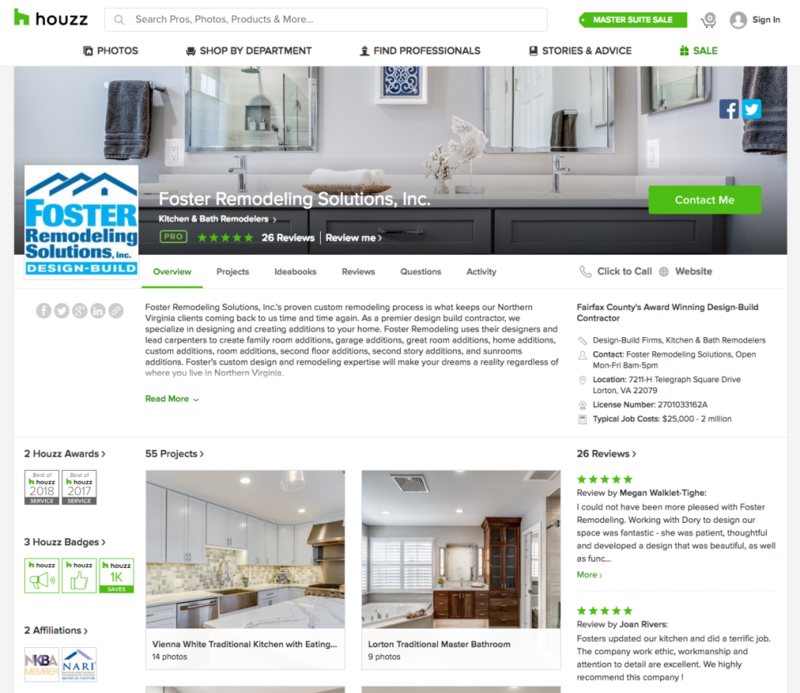 This site is similar to Houzz, but they call their folders “boards” like bulletin boards. If you see an idea on the website you like, you can “pin” the idea to one of your boards. You will have to register to be able to create your boards, and this can take a few days for the website to approve you. Once you are registered, you get to organize your boards and keep all of your ideas in one spot. The nice thing about pinterest is they also have other things on their website like cooking, crafts and clothing. It is like one stop idea shopping. YEA!! Once you have your ideas gathered, just look up Foster Remodeling Solutions to check out other pictures and make an appointment with one of the designers. These are great tools for homeowners, and designers too. Starting a kitchen remodeling project, bath remodeling project or even an addition to your home does not have to be agonizing. There are many great ideas that have been tried before and you can easily see examples on the internet so you can eliminate some of the uncertainty of remodeling.